On Thursday, the rupee had plunged by 28 paise to end at a new three-month low of 65.04 against the US dollar. The Indian rupee (INR) rebounded today from Thursday's three-month lows, rising to as much as 64.69 against US dollar (USD) today. Higher domestic equity markets and a pause in global dollar rally helped lift the rupee from three-month lows. 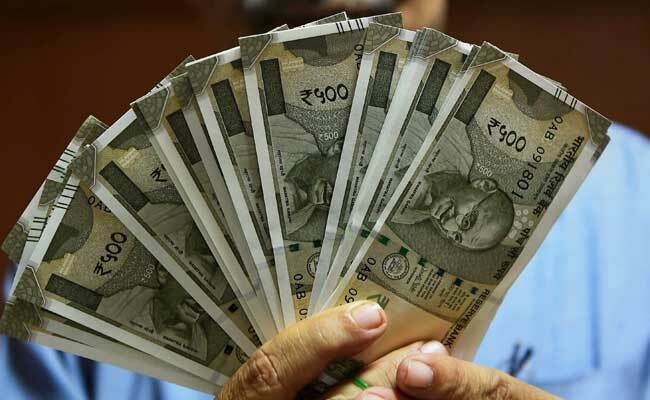 On Thursday, the rupee had plunged by 28 paise to end at a new three-month low of 65.04 against the US dollar even as importers actively covered unhedged positions amid fears over Fed rate hike. Today, the rupee ended higher at 64.73 against the US dollar. The Sensex ended over 300 points higher today. The dollar rally broadly sagged today as US Treasury yields declined from their recent peaks. Asian stock markets rebounded today after a Federal Reserve official eased worries about aggressive rate hikes from the US central bank. St Louis Fed President James Bullard on Thursday said policymakers need to be careful not to increase rates too quickly because that could slow the economy. This tamped down expectations of four rate hikes in 2018, instead of the widely anticipated three increases. The rupee had been on a weak trend this week amid worries over US rate hikes and outflows from domestic capital markets. The rupee had fallen to 65.10 intra-day against the US dollar on Thursday.